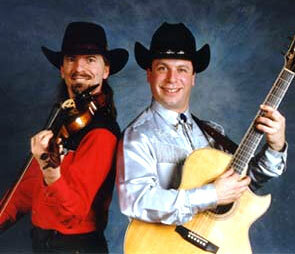 This lively country western duo features Ron Thompson on guitar and Doug Thordarson on fiddle and vocals. The Casablanca Cowboys are famous for their pickin' and grinnin'. Since this act is acoustic, they are perfect for strolling and creating a festive atmosphere. A real taste of Canadiana! Noteable Entertainment & Events is a Vancouver based booking agency, party rental, entertainment services and event production company. If you are interested in booking Casablanca Cowboys please contact us.